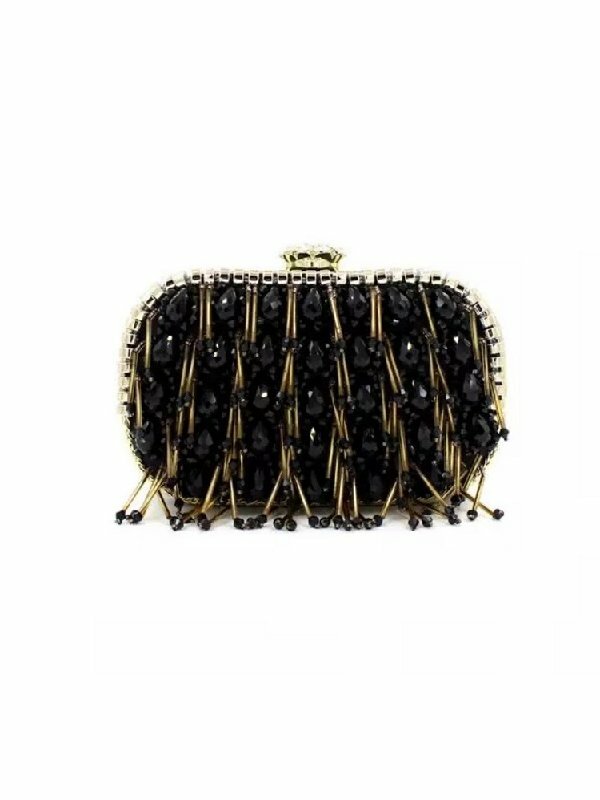 A beautifully craft minaudiere with sophisticated black crystal embellishments and golden tassels. 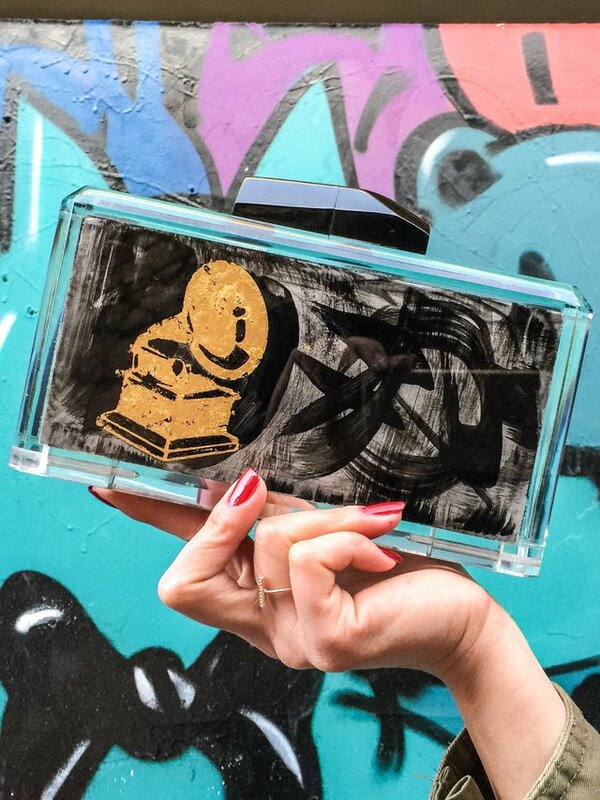 Channel Hollywood glamour by wearing it in your hands. Alternatively, wear it over the shoulder for an effortlessly chic look. 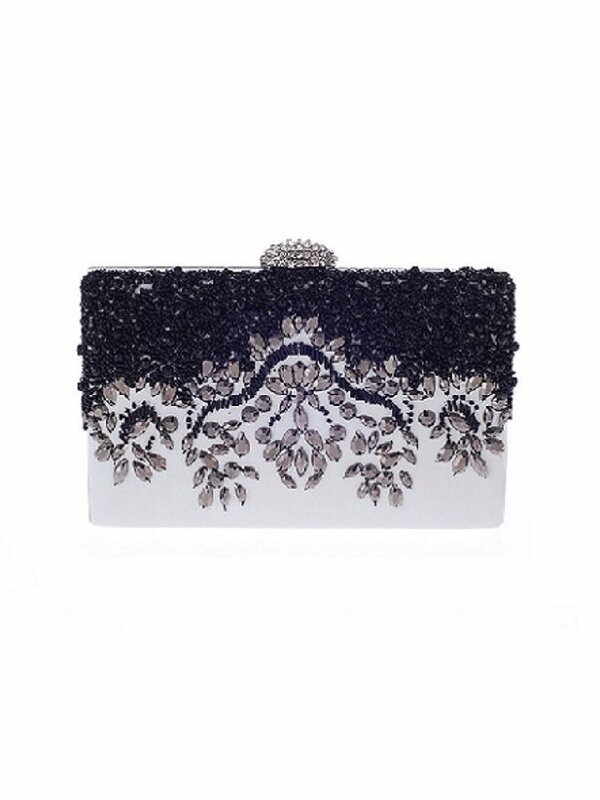 Taylor tassel embellished clutch is our must-have evening piece this season. 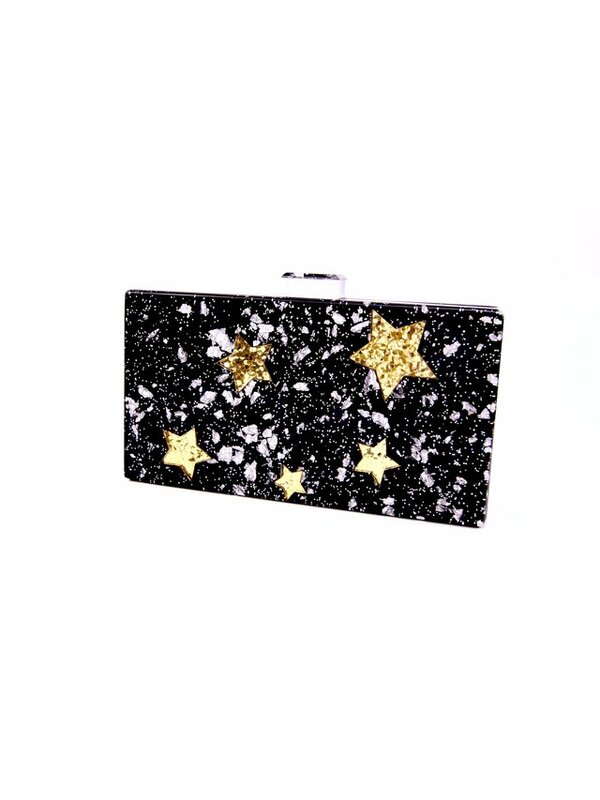 Finish your party look with our new season shiny gold tassel and black stone embellished clutch. Crafted from a high shine gold mini hard structured oval shape, featuring top clasp fastening, super shiny black stone and gold tassel pattern and optional gold metal chain. The clutch is roomy enough for your secret stash! 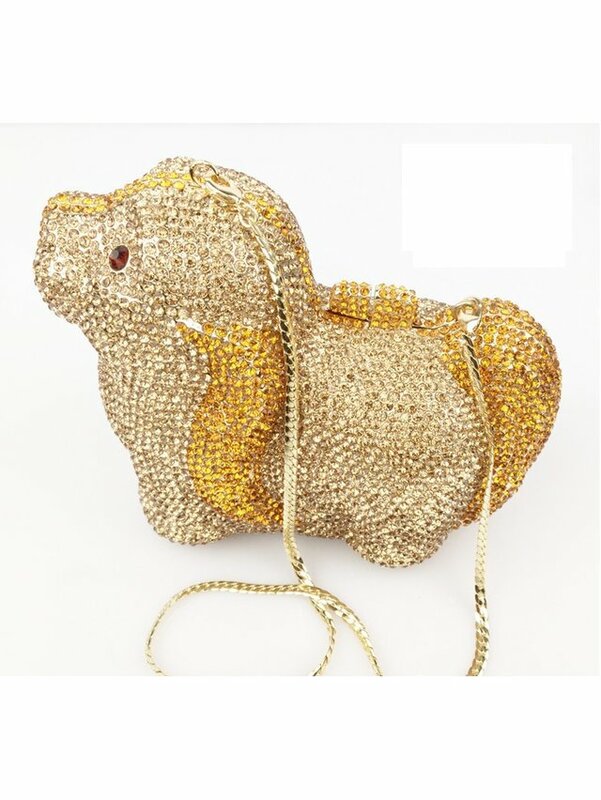 This bag embraces uber glamour, get it now to ensure you’re looking super stylish and feminine this season. 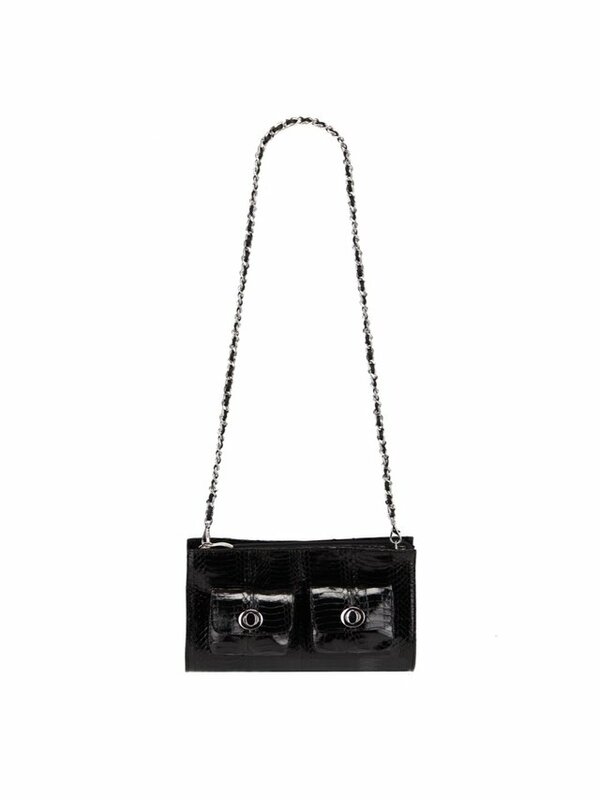 Carry it by hand or wear it over the shoulder with the versatile chain strap.